Renault’s EZ-GO vision of urban mobility previews shared usership and on-demand mobility in an autonomous EV. 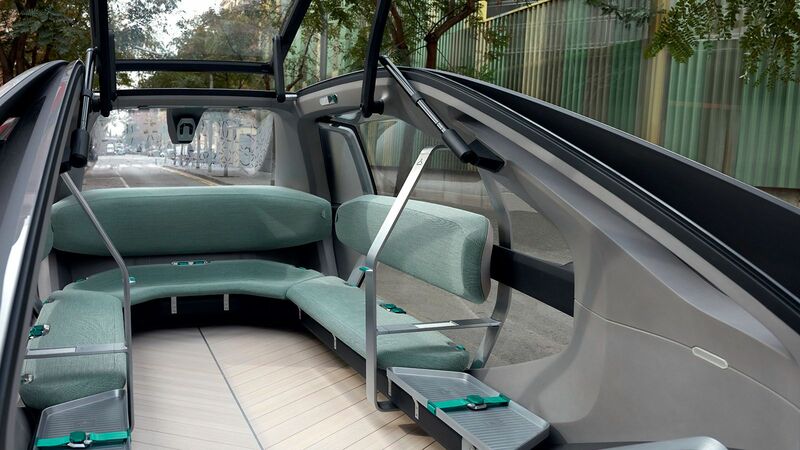 Renault’s EZ-GO concept is a vision of the future of urban transport, shared electric driverless vehicle and station which provides the flexibility and comfort of individual transport with the efficiency and the safety provided by public transport. Carrying up to six passengers simultaneously EZ-GO is an on-demand mobility solution intended to be part of a smart city ecosystem, which works through an instant-booking service from an app, or from in-town stations, depending on the preference of the operator. The service may be operated by private or public organisations and can potentially operate 24/7. Renault EZ-GO's trapeze-shaped design helps it fit into the city. It was designed to provide the widest possible field of vision for the autonomous system's sensors and for bringing in light from above through the glass panorama roof. All the sensors required for autonomous driving (radars, lidars, ultrasound, cameras) are grouped in the removable antenna located on the roof's rear spoiler. Once connected to its station, Renault EZ-GO features a large flat floor prolonging the ramp to help with boarding. Induction chargers are available for the passengers' smartphones. 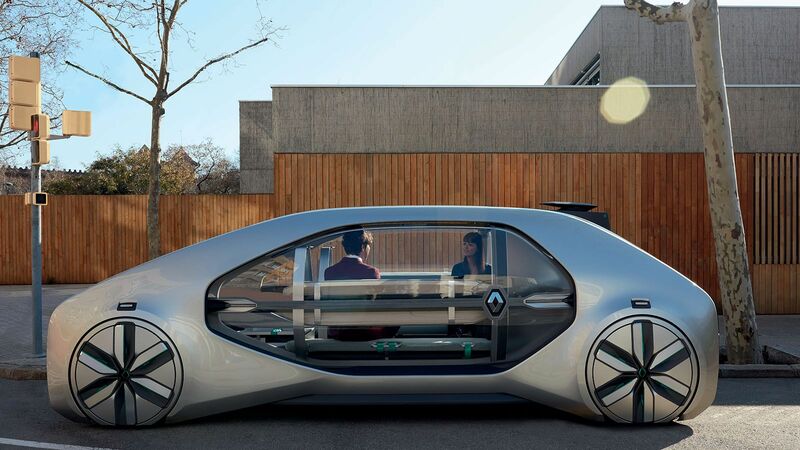 EZ-GO is a vision of the future, but Renault is already in progress on several business-to-business and business-to-consumer scenarios for new mobility services. Groupe Renault plans to launch its ride-hailing robo-taxi commercial services by the end of the Drive The Future 2017-2022 strategic plan, in cooperation with the Alliance. Drawing on a breadth of resources across the Alliance it aims to develop the technology building blocks required to deploy and operate such services in a variety of scenarios, working with ecosystem partners through an open innovation approach, involving large companies, start-ups and the public sector.